My wife asked me the other day why we haven’t been eating as many soups this winter as we did last and frankly, I wasn’t sure why. I love a big pot of soul-warming soup as perfect end to a weekend or as a quick weeknight meal. There are so many different variations of soup to make and most times, it can be really healthy. 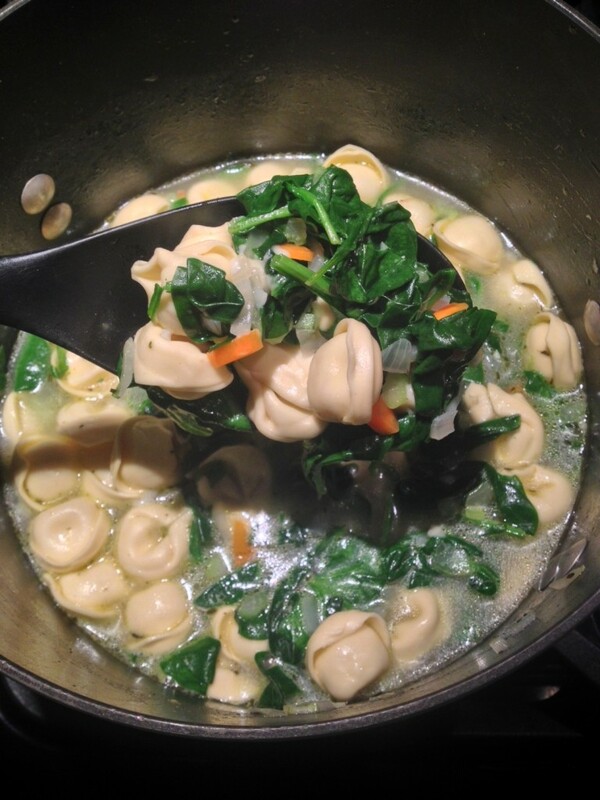 Therefore, I made this quick and satisfying Three Cheese Tortellini and Spinach soup the other night to satisfy our soup craving. 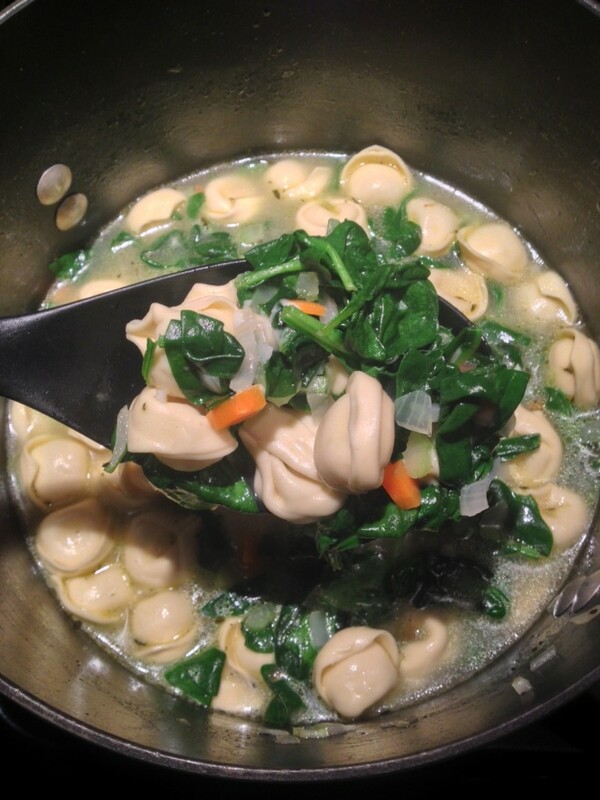 Pillow-soft, cheese filled tortellini combined with baby spinach and Parmesan cheese – it’s hearty, it’s delicious and it’s fast. Can’t go wrong with those three adjectives. 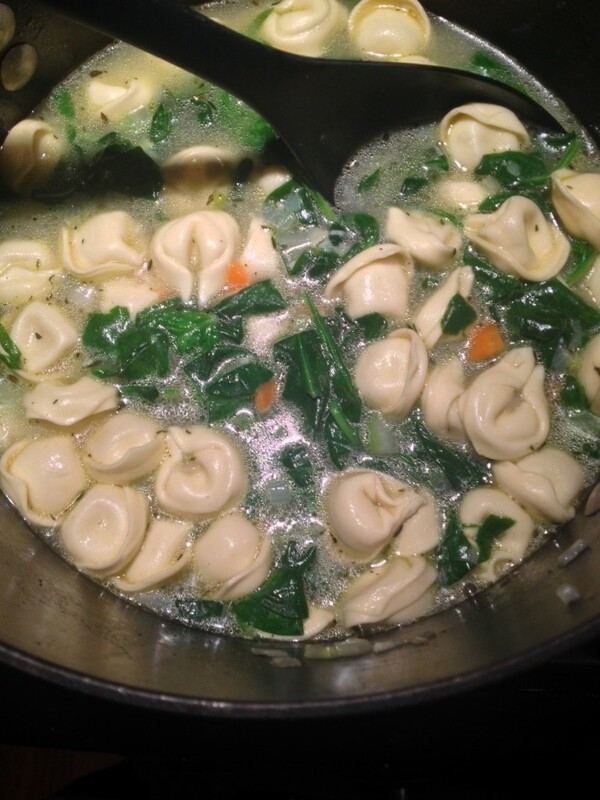 Tender baby spinach and three cheese tortellini. 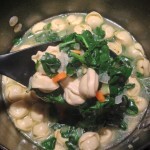 I always use Buitoni Three Cheese Tortellini when I make this soup. They’re delicious! Check your grocer’s refrigerated section – if they don’t have them, get a new grocery store! Add oil to a large pot over medium heat. Add onion, celery, carrots, garlic. Add salt, pepper, thyme and spinach and sauté 5 – 8 minutes until spinach is wilted and vegetables are slightly softened. Add stock and heat for 10 minutes until hot throughout. Add tortellini. When the tortellini float to the top, you know they are done. Taste, adjust seasonings as necessary. Put into bowls and garnish with a little more parmesan cheese.